Are you interested in one of our mixers, and would you like to know which wash basin would go well with it? 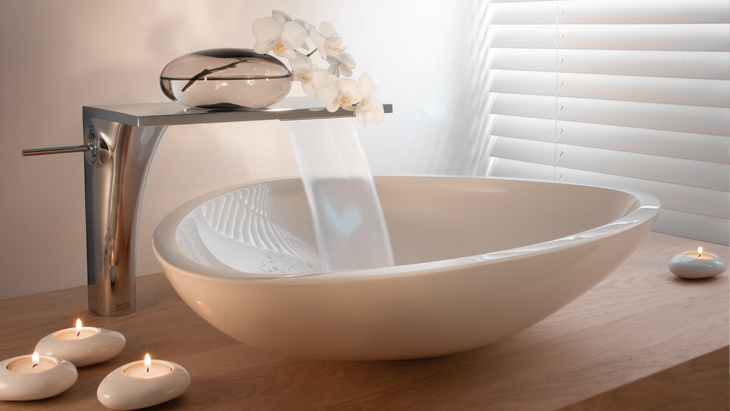 Or vice versa: have you chosen the basin, and are you now looking for a matching AXOR mixer? If so, get some inspiration here – and assistance too. Making sure that your mixer and wash basin go well together is too important to just leave to chance. AXOR bathroom collections are developed in collaboration with renowned designers. The AXOR mixers are part of a visionary bathroom concept, where all the individual elements are finely attuned to one another in the product design. Our design experts kept aesthetics and functionality in mind when putting together this selection for you, so you can be confident of matching these wash basin mixers with the right wash basin. In the AXOR ComfortZone test, we recommend matching items from the current product ranges of renowned wash basin manufacturers. How to find exactly what you are looking for: once you have decided on a particular AXOR bathroom collection, you are presented with an overview containing lots of pictures of AXOR wash basin mixers. Aside from the issue of stylish combination, the ComfortZone test also involved testing the AXOR mixers in terms of their function in conjunction with current wash basins and wash bowls. This ensures that the products match, both in terms of free space between mixer and wash basin and also spattering characteristics. Have you found your own personal dream combination? If so, please talk to your dealer. Your dealer will make sure that the products are installed professionally, and can answer lots of other questions that you may have with regard to bathroom planning.